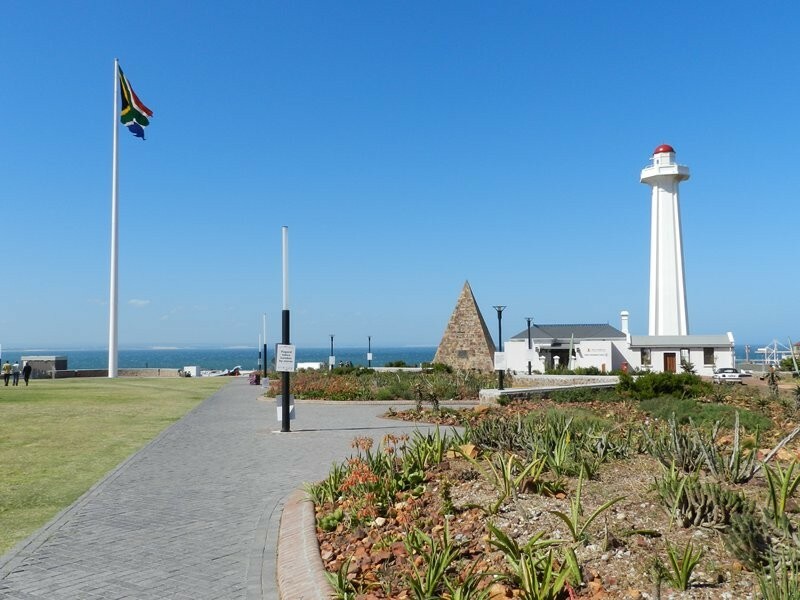 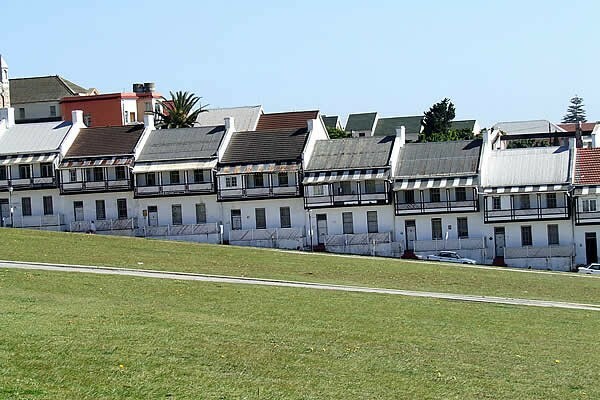 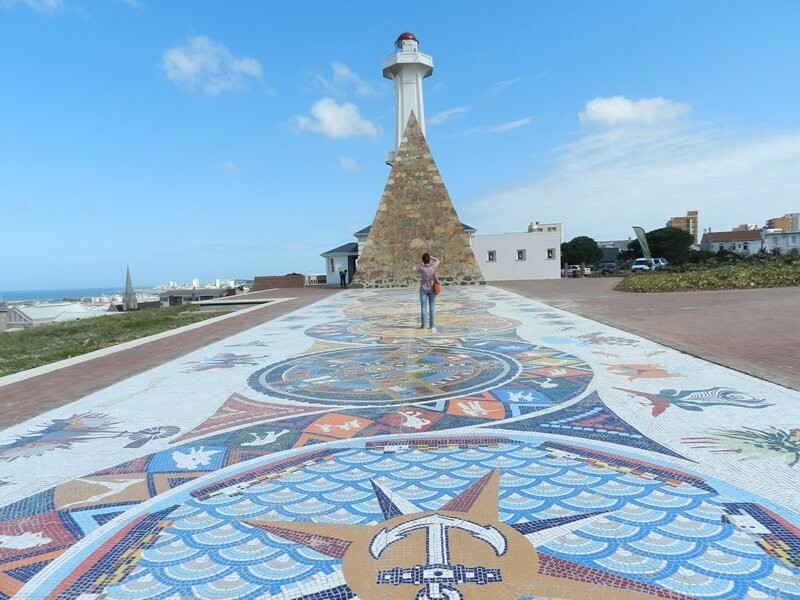 The historic Donkin Reserve in Port Elizabeth has long been a green lung in the heart of the city as well as a prime tourist view point. 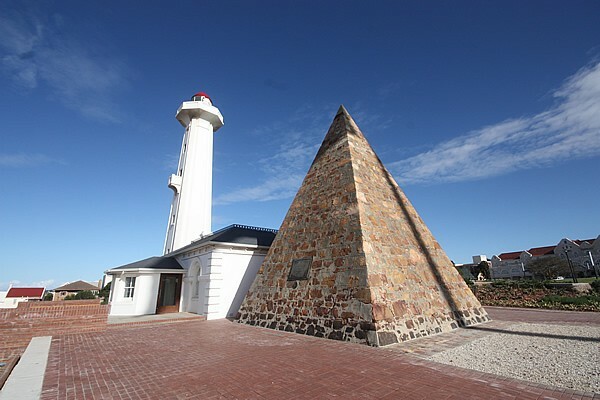 Founded at the behest of Sir Rufane Donkin, the then acting governor of the Cape, the iconic pyramid was erected in commemoration of his beloved wife Elizabeth who had died in India prior to his appointment to Africa. 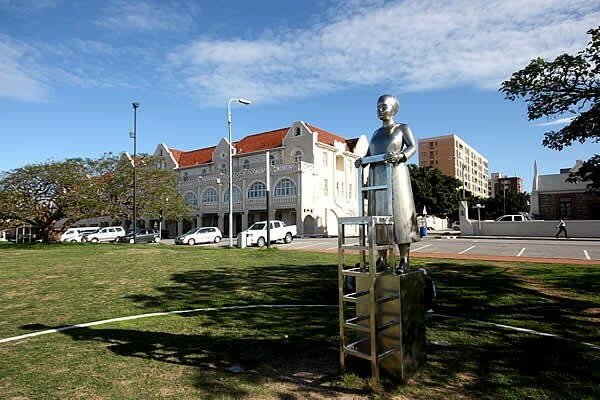 The city was indeed named after her. 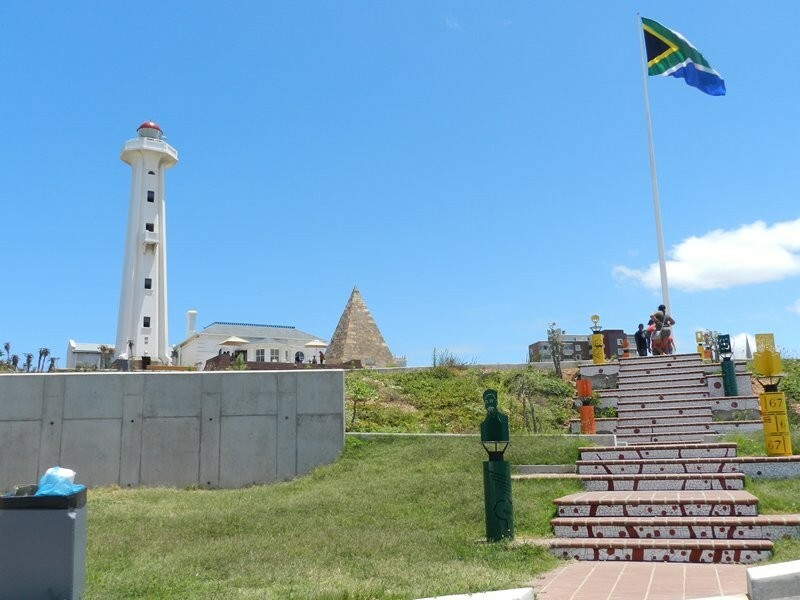 The pyramid and the lighthouse have for long been a symbol of Port Elizabeth while the open area affords fine views of Algoa Bay. 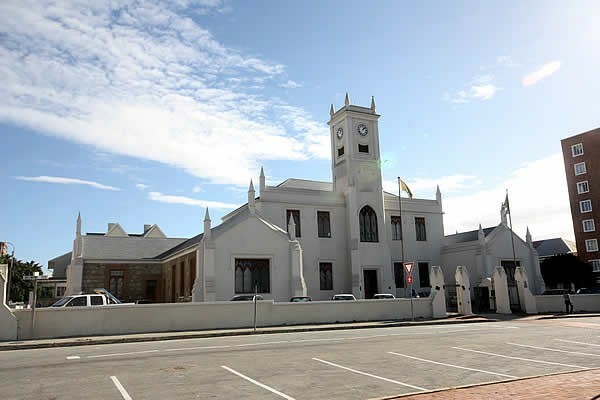 Roundabout are some fine examples of period architecture. 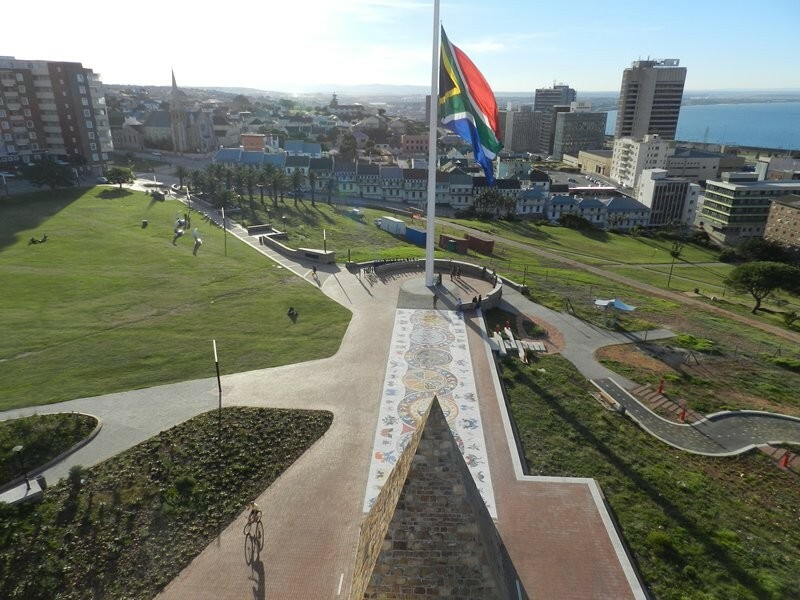 More recently there have been additions to the reserve in the form in the form of a flagpole flying the largest South African flag in the country. 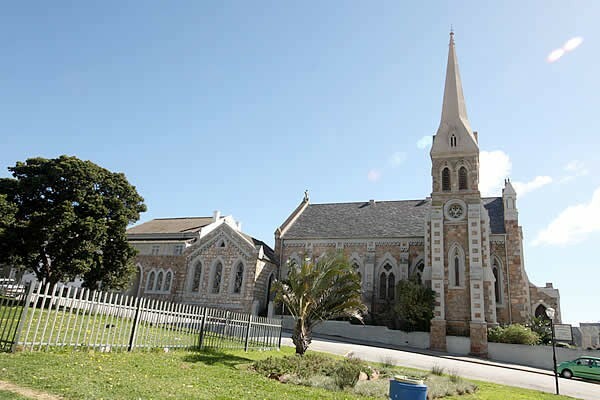 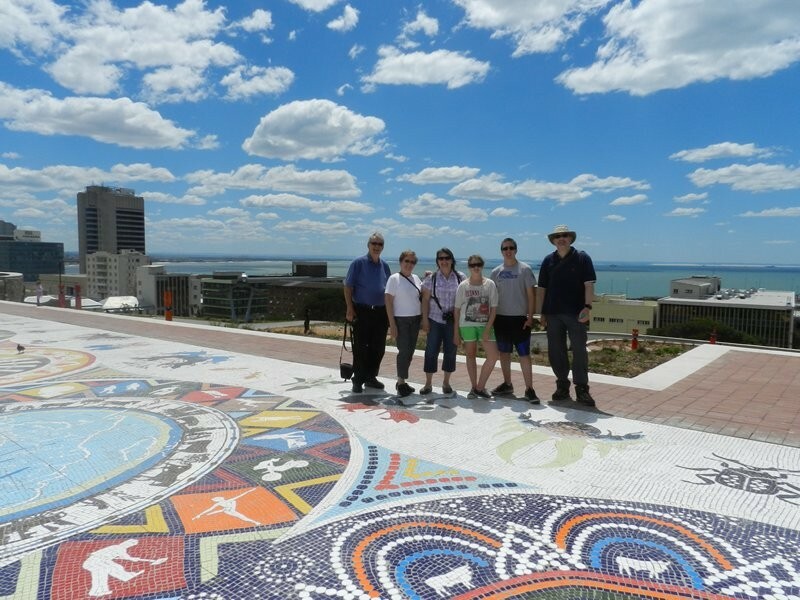 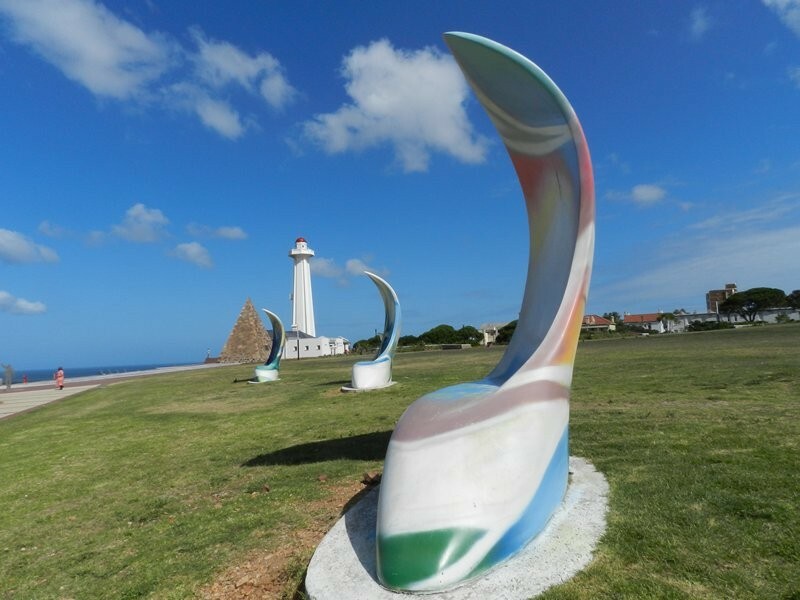 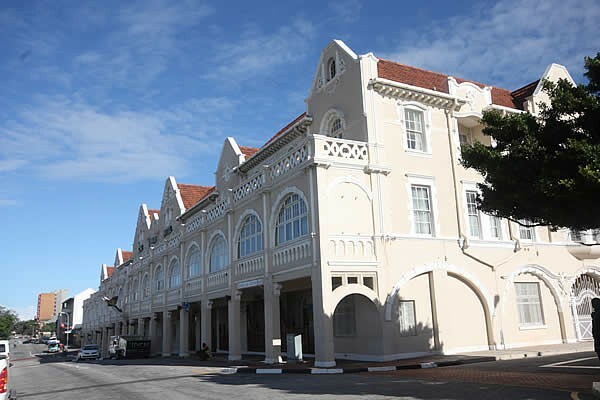 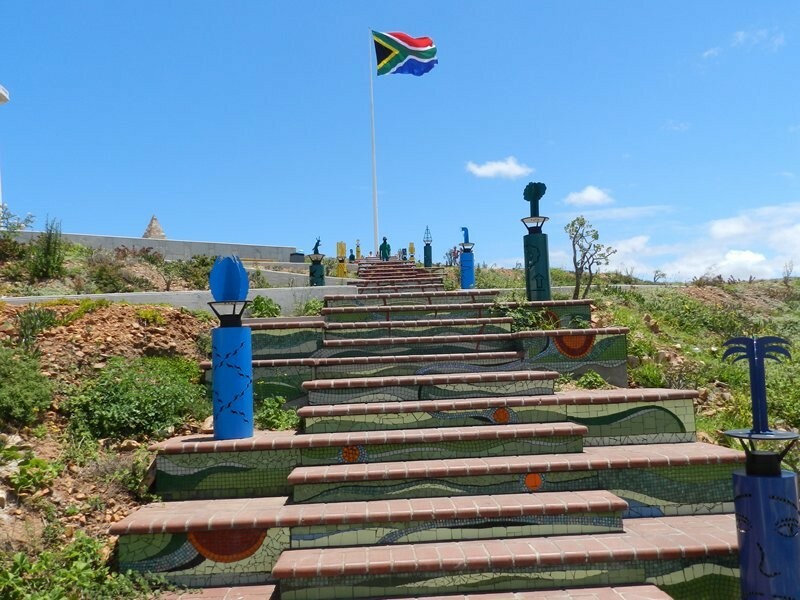 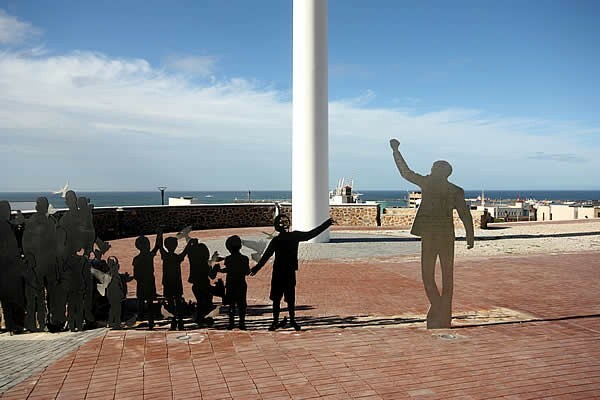 Additionally, the area has now been graced with an open air art exhibition featuring works by local artists as well as a tribute to Nelson Mandela after whom the Port Elizabeth's municipality is named.